Samsung secured their position today as the makers of the most ridiculously expensive Android tablet today. Following on yesterday's leak, Samsung issued a press release this morning and confirmed that both the Galaxy Note Pro and Galaxy Tab Pro tablets will be shipping in the US next week. The Galaxy Tab Pro 8.4 (16GB) is going to be priced at a not to unrealistic $399.99 and the Tab Pro 10.1 (16GB) at $499.99, but when you get to Samsung's 12.2" tablets the pricing gets a little crazy. 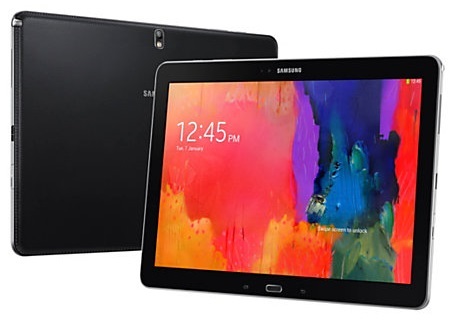 The Samsung Galaxy Tab Pro 12.2 (Wifi, 32GB) is going to cost $649.99, and the Galaxy Note Pro 12.2 will cost either 749.99/$849.99 for 32GB/64GB of storage. Okay, that's not as bad as the UK prices, where the Note Pro 12.2 is listed at £649, but those are still some rather expensive Android tablets. In comparison, my current laptop cost $749, and Lenovo was generous enough to throw in a 700GB hard disk, a keyboard, and Windows 7. Then again, Lenovo and Samsung might both be copying Apple but I suspect that Lenovo has taken a different approach. My U410 laptop might look like a Macbook clone but it is a cheaper computer. Samsung, on the other hand, is aping Apple's high prices and design elements, and based on the time I spent with teh Galaxy Note Pro at CES 2014 I think Samsung is also going to match Apple's high quality as well. 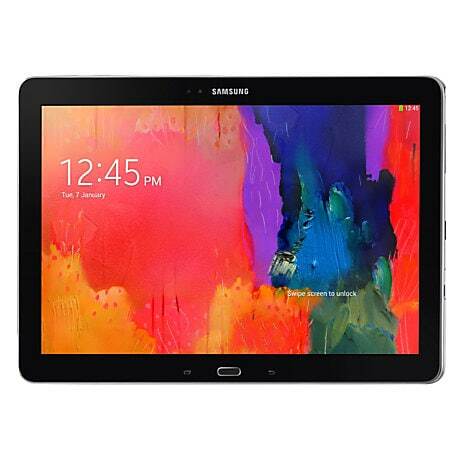 The Samsung Galaxy Note Pro 12.2, for example, runs Android 4.4 Kitkat on a 1.9GHz Exynos 5 Octa CPU with 3GB RAM, 32GB/64GB Flash storage, and a pair of cameras (8MP and 2.1MP). The screen resolution is 2560 x 1600, which is the best on the market for that screen size at this time. In terms of connectivity it will have Wifi, Bluetooth, an IR blaster, and optional LTE. With its huge screen, stylus, and svelte size, the Samsung Galaxy Note Pro was one of the highly anticipated launches of CES 2014, and it did not disappoint. I still don't have details on the battery life, but I do know that at 1.58 lb, it was one of the lightest of the laptop-sized tablets, and 7.8mm at it was also one of the thinnest of any of the tablets being shown off. And now it's the most expensive. P.S. The prices mentioned above are for the Wifi tablets models; Samsung hasn't revealed the prices for the LTE models probably for fear that potential buyers would suffer sticker shock. P.P.S. If you buy one, would you mind lending me your other Mercedes for the weekend? For that price having android on it is useless. Why not windows? For one thing, no one wants Windows 8. But I agree that a Note Pro hybrid which combined Win7 and Android would be worth looking at. I’d just like to note I called the US price point pretty much on the nose. Go, me! One of the things that I like about Samsung is that are not afraid to make phones and tablets in a large range of sizes. This new tablet may be too big for most of us but I am sure that there will be a market for it. This is way too much tablet for me but others may find it just right.